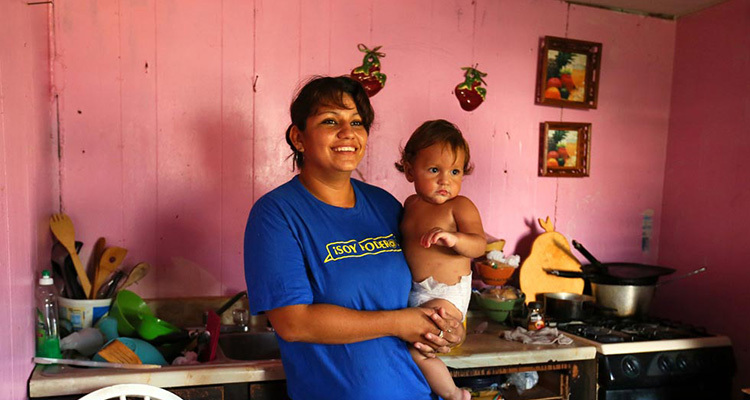 Soon after Esmeralda's last child was born, her husband died in a car accident, leaving her as the sole caretaker and breadwinner for five children under age 11. Some sort o promo here. Shortly after Esmeralda delivered her last child, her husband died in a car accident. She was left as the sole caretaker and family breadwinner for five children under age 11. Esmeralda has been living in the U.S. for 13 years, but unlike her U.S. citizen children, she is undocumented. In 2011, the state of Texas made drastic cuts to its family planning program, which forced over one-quarter of state-funded clinics in the Lower Rio Grande Valley to close completely and most others to reduce hours and staff. Low-income women of the Valley like Esmeralda now have nowhere to turn for a trusted source of affordable reproductive healthcare. To read Esmeralda's story please visit the Nuestro Texas campaign page. For more information about the impact of these policies on women’s lives, read the report.